There is a unique aspect of our sport that separates it from most others. Especially, here in the United States. For whatever reason, soccer has a required education component attached to it. The expectation is that coaches push themselves to learn more and more about the game throughout their entire life. This happens worldwide and here at home with official licenses and certifications that must be obtained in order to move up the coaching ladder. Learning outside of the traditional license pathways is also quite normal, and in many cases is where coaches experience the most growth. The desire to learn more about the sport and how others teach it is often compared to a bug or disease that some of us catch. It can infect us in a number of different ways and at different stages of our coaching journeys. For example, you could have a team of 8-year-olds and be in way over your head and be searching for soccer drills on Google every week. You could have a team of 14-year-olds that go undefeated 3 years in a row and you’re now looking for new ways to keep pushing them forward. Or you could have decades worth of professional coaching experience and still have an interest in keeping up with the newest research and developments from around the world. But regardless of where you land on that spectrum – it’s safe to say we all started our coaching journeys at pretty much the same point. That is something that most of us can relate to. You can relate to that, right? Now, this where the unique education component of soccer comes into play. In the soccer world, coaches are encouraged (if not forced) to seek out and obtain an education. And in a lot of cases, coaches have the freedom to choose who they want to learn from. Brian Kleiban was no different from you and I. 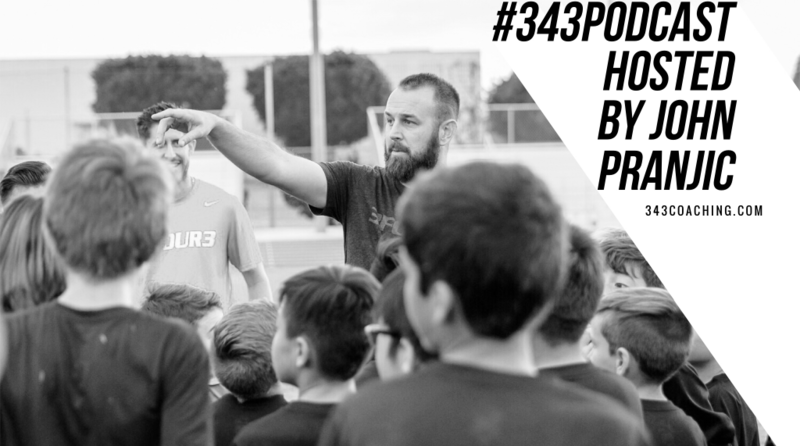 He started his coaching journey with a small toolkit that consisted of whatever he had been exposed to as a player growing up in Southern California. But his coaching education journey took him down a path that included studies in South America and Europe that most of us won’t ever have the opportunity to experience. Traveling to see top, top-level coaches working in their real team environments exposed Brian to a different way of doing things. Things that he had never seen or experienced first-hand here in the United States. And what he saw resonated with him. After having multiple opportunities to study top, top-level coaches and teams, Brian had a big task in front of him. It was to somehow find a way to take what he saw in those environments and find ways to make it work in the traditional American soccer environment. You know, the practice 2x per week and 2 games every weekend with tournaments all summer long. I’m sure you’re familiar with that. Following in the footsteps of someone like Marcelo Bielsa and a club like FC Barcelona, Brian had a great head start and a wonderful framework to emulate. And over time, he was able to determine what worked and what didn’t work in his own true environment here in California. We usually call this the trial and error phase. Again, that’s probably something most of you are familiar with in your own environments. One of the unique parts of Brian’s educational journey is that the overwhelming majority of it has been captured on film. I think about it quite often – how the hell did these guys have the foresight to start recording training sessions of 10-year-old soccer players? Whatever the answer is – I’m thankful they did it. Because it’s an unprecedented moment in American soccer. The making of one of the most dominant youth teams in American soccer history is available for anyone to see and study. The real drills and real games, starting from when the players were 10-years-old until more recently when some have already signed professional contracts as teenagers, is accessible 24/7/365. I remember talking with Gary and Brian years ago about a time when Brian snuck into a stadium pretending to be part of the grounds crew just so he could catch a glimpse of a national team training. I had a similar experience in 2015 or 2016 when I somehow obtained a press pass and went inside of a U.S. National Team training session as a photographer – but decided to take video for my own personal collection instead. I even interviewed the coach. It was quite a show I put on. There have been plenty of other times that I have watched training sessions at StubHub or in Spain or other places around the world from behind the bushes. Just recently, I was able to watch an MLS team train and be on the field as the guys knocked the ball around, almost hitting me several times. At one point, I thought for sure they were aiming for me. Those in-person moments have been and continue to be great experiences. But the most impactful resource for my own personal coaching development has been the insider access to Brian’s trial and error process that he’s been courageous enough to share with the world. When I sat down to write this, I had a prompt at the top of the page that said, “Who you learn from is important.” I kind of went all over the place. Touched a few different things. But now that I’ve reached the bottom of the page – I want to end with a question that will hopefully tie everything together. Feel free to reach out and share your answer with me if you’d like – but it’s not necessary. I simply want you to think about the impact that education has on your own development as a coach. So, here is the question. Actually, two. Who are you learning from? And why?